I watched it quite often before WC 2017. This one id very uplifting : happy ! Image Credit : Please PM me if you know the source. Definitely one of my favorites. And 'Empire of Angels' by Thomas Bergersen is so epic. Yuzuru should try skating to this music. 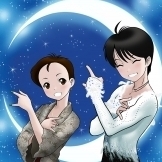 how awesome would it be if yuzu skated to music like "empire of angels"? this is the type of EPIC music that would be so suited to yuzu's intensity! Everytime I listen to this song (basically every morning when I'm walking to work) my mind automatically pictures a jumping Yuzuru... haha! , a mashup of Vertigo and Hello I Love You set to the song (video starts a bit later).